A speed controller is specially designed for the control of fans that are equipped with external rotor motors and also designed for conventional motors, adjustable through voltage reduction. There are fan speed controllers suitable for single phase motors and for three phase motors. Airtècnics regulators are suitable for single phase motors 230V-50/60Hz up to 2.3kW and 10A and three phase motors 400V-50/60Hz up to 4.5kW and 10A. 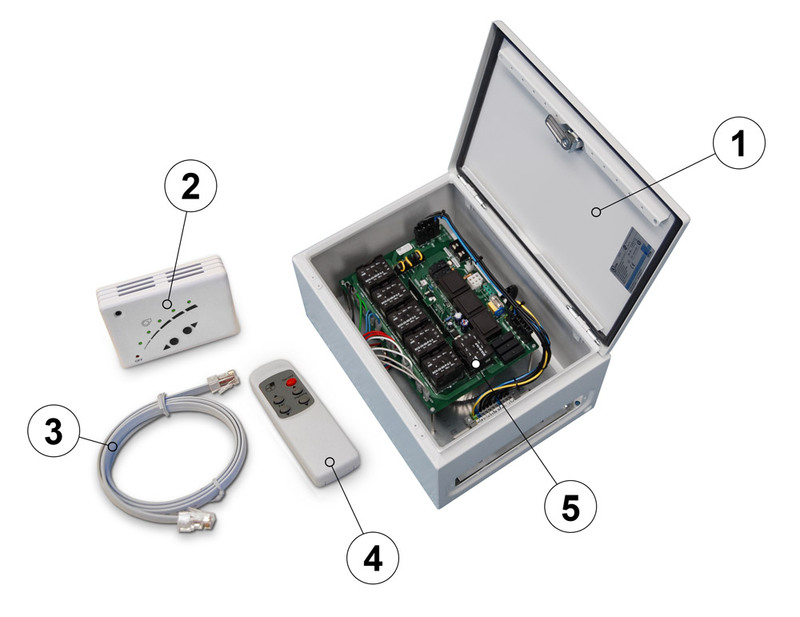 1- Regulation box: Manufactured in galvanized painted steel enclosure with lockable hinged door that contains the power plate (5) and the electrical connections motor, both input and output. For single phase motors, the box is IP54 ABS plastic made (IP65 optional). 2- Controller: The standard controller is suitable to select the desired speed. Inside it contains some terminals to install a free voltage ON/OFF contact. It also operates as IR receptor. Regulation panels with advanced functions for the electrovalves control, electrical elements stages, air shutters, weekly time programmer, pressure sensors control, temperature, position, presence, air quality, etc. are optionally available. Possibility of BMS systems integration through interface connections. 3- Cable: RJ45 cable for easy connection between controller and regulation box. 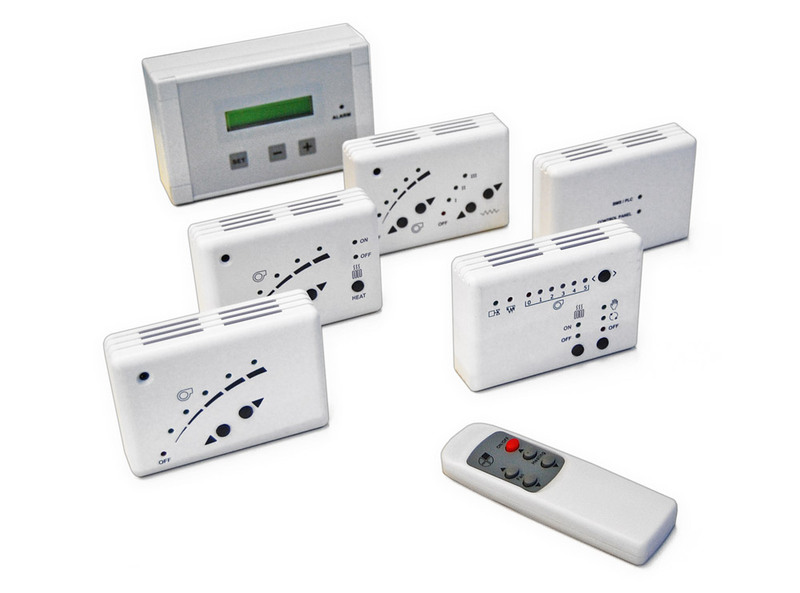 4.- IR Remote control: IR controller to operate the equipment by infrared. The installation of these regulators is easy and fast, does not need any configuration. Do not generate any noise to the engine and includes a thermocontact protection.